Born in Aberdeenshire, Scotland on 1758. He died on 1792 in Glenbucket, Aberdeenshire, Scotland. Family Rachel Reid , Born in Aberdeenshire, Scotland on 1758. She died on 1792 in Glenbucket, Aberdeenshire, Scotland. Born in Glenbucket, Aberdeenshire, on 1778 to James Begg and Rachel Reid. She died on 1791 in Glenbucket, Aberdeenshire, Scotland. Parents James Begg and Rachel Reid. He died on 1803 in Glenbucket, Aberdeenshire, Scotland. Great-Great Grandmother's BEGG family is buried at St. Thomas- West Avenue-Section OSS in St. Thomas, Elgin Co., Ontario. She died in Champion, Alberta at the home of her daughter, Edith Summers at the age of 91 yrs. in 1934. Family Jessie Mckerron (1837 - ) Born in Aberlour, Banffshire, Scotland on 1837 to Peter Grant Mckerron and Janet Stuart. Born in Strathdon, Aberdeenshire, Scotland on 8 Jun 1862 to John Begg and Mary Ann Grassick. She died on 1881 in Towie, Aberdeenshire, Scotland. Born in Strathdon, Aberdeenshire, Scotland on 14 Aug 1864 to John Begg and Mary Ann Grassick. She died on 15 Jun 1880. Born in Strathdon, Aberdeenshire, Scotland on 4 Jan 1868 to John Begg and Mary Ann Grassick. James Grassick married Jean Thomson. He died on 25 Nov 1928 in Towie, Aberdeenshire, Scotland. Born in Glenbucket, Aberdeenshire, Scotland on 31 May 1872 to John Begg and Mary Ann Grassick. He died on 16 Mar 1942 in Towie, Aberdeenshire, Scotland. Born in Glenbucket, Aberdeenshire, Scotland on 12 Jan 1874 to John Begg and Mary Ann Grassick. She died on 10 Dec 1968. Born in Glenbucket, Aberdeenshire, Scotland on 11 Jun 1876 to John Begg and Mary Ann Grassick. She died on 28 Aug 1909. Family of Margaret Forsyth, Wife of Harry Begg. It is interesting to note that both Harry Begg’s father in law and the father of Robert Forsyth Harrys brother in law by marriage both had the same name James Forsyth. Tis may have caused confusion in clarifying the family history. Full Name James Forsyth . William b 14.2.1785; chr 14.2.85 Keith. Full Name Catherine Forsyth . Full Name James Alexander Forsyth . 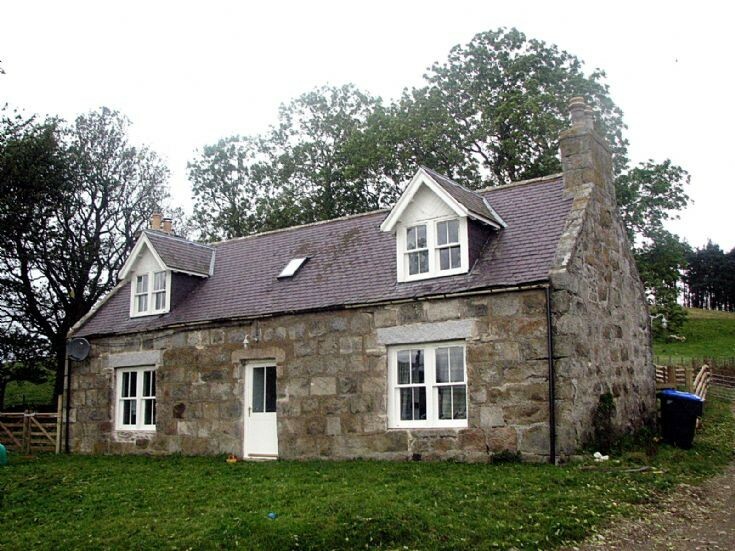 James lived with his wife and children at 1 Mid Street in Keith, Banffshire, and was a "post runner" to Banff. By 1891 his wife Ann had died, and he was retired and living at 177b Mid Street in Keith. On census night, his daughter Maggie (by then Maggie Reid) was with him, along with her two sons William (3) and Henry (3 months). James died in January 1896 at 68 Spital, Aberdeen. The death was confirmed by his daughter Maggie, also described as an "inmate", the meaning of which is not clear. Perhaps he was in some form of sheltered housing.